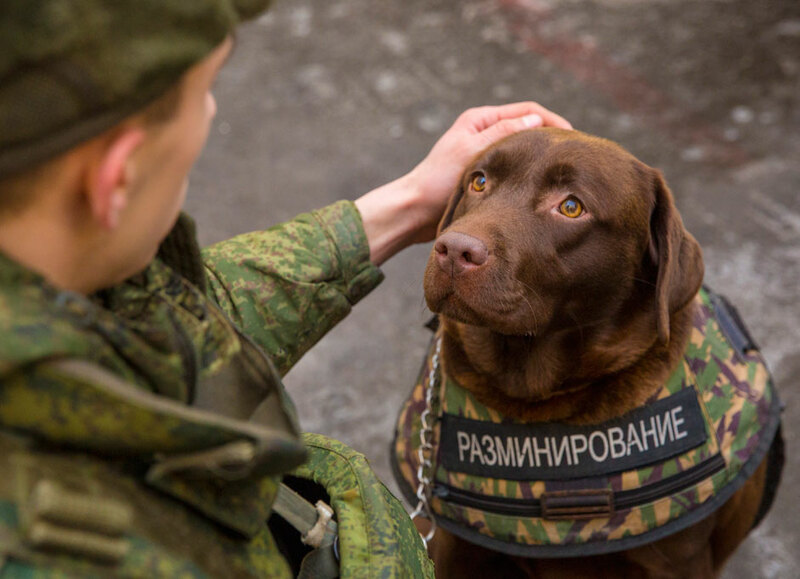 The demonstration samples of canine body armor "Nord", designed to "Scientific Production Association of Special Materials", St. Petersburg. Nov. 26, 2015. Body armor protects service dogs by pistol shots, stabbed and explosive fragments.